It was the night of Easter Monday four years ago. The very first Easter after my diagnosis. My chocolate haul was proudly spread across my desk, a remarkable feat considering how old I was getting. The fridge at home was full of leftover food and deserts from our family gatherings over the weekend. I’d been pigging out over the past few days and eating more than normal. We were getting new floor coverings in my bedroom tomorrow, and I was sleeping in the spare bed in our games room. My blood sugar level was somewhere around the 14 or 15 mark before bed. I gave myself three units of correction, knowing that one unit of insulin would bring my BGLs down by 3mmol/L. I tossed and turned, and before I knew it another hour had passed. I tested again, and my BGL hadn’t budged below that 15 mark. I was frustrated, and made an impatience-driven decision to give another 3 units of insulin. I finally drifted off to sleep, and woke up again at around 2am. I tested again. My BGLs had barely budged, and I gave another 3 units of insulin. The same thing happened at 4am. And again at 7am. I was so angry that my blood sugar levels had been that high for the whole night. I was so frustrated that despite my best efforts, I couldn’t get my blood sugar levels to budge. Ever since that night, I’ve known that my Lantus dose needs to be adjusted to match the overall amount of food that I eat in a day. 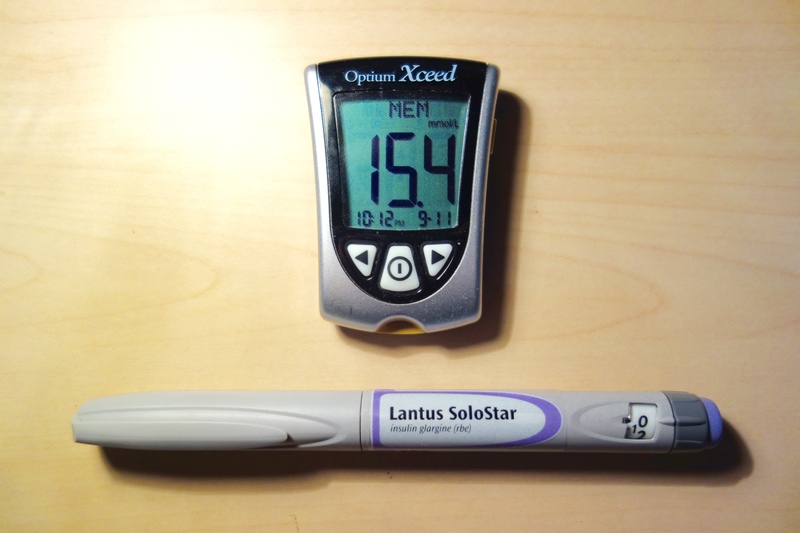 Lantus is my long acting, or basal insulin dose that I take once a day to keep my BGLs regulated. On days where I eat more than normal, I know that I need more Lantus in order to keep my BGLs stable through the night. If I’m eating out at a restaurant, pigging out on party food or going crazy at Christmas time, I generally dial up my Lantus dose. Doctors and other people I talk to have struggled to understand this concept over the years. Most have tried to talk me into giving rapid acting correction and waiting the full four hours for my BGLs to drop. It doesn’t work. That Easter Monday night four years ago was evidence that it doesn’t work. And up until now, I’ve been lost for the words to explain this concept to them. Multiple Daily Injections are hard. It takes so much fine tuning to get right. There are so many variables that change every day such as food intake and physical activity, which impact on my BGLs and insulin requirements. I was really pleased to hear that my #DOC friend Ally at Very Light No Sugar understood the Lantus adjustment struggle. She offered me a really good analogy to help explain this concept. Lantus, or long acting insulin is like a mitten. And we fine tune this mitten with rapid acting insulin to make it fit like a glove. At the end of the day, I’m not telling you what to do. I’m just telling you what works for me. Because it’s not anyone else’s diabetes but mine. But I really could use some advice on dealing with Lantus dose adjustments if you’ve ever experienced anything similar. Just putting it out there. Wow Frank this is a great post! I still struggle to get my head around the long and short acting insulin and how they interact. Getting your perspective here is so helpful! Our bodies do not know the difference between basal and bolus insulin. it’s just insulin. So if you figure out something that works, just go for it and don’t worry whether it is Lantus or Novolog/Humalog/Apidra giving you a good result. I totally hear you on the Lantus adjustment stuff. Whenever I see people proclaiming that they have found the perfect background basal rate, I always have to stifle a chuckle. Not due to cynicism, rather, due to realism. If there were a perfect background insulin rate, it would be called having a properly-functioning-pancreas. Diabetes, and life in general, change too quickly and too often for a truly “perfect” basal insulin dose to be achieved, in my humble opinion. But like you discuss here- and I think Laddie’s point is superb- you have found a system that works well for you in the meantime. Until there is a cure, or an improved artificial pancreas system, HCPs will have to trust their patients’ experiences in order to find the best possible system of treatment for the individual patient. I think it’s great that you are invested enough in your own health to have figured some of the Lantus basal stuff out in that regard! It’s not easy with injections- that’s for sure! Thanks Ally. 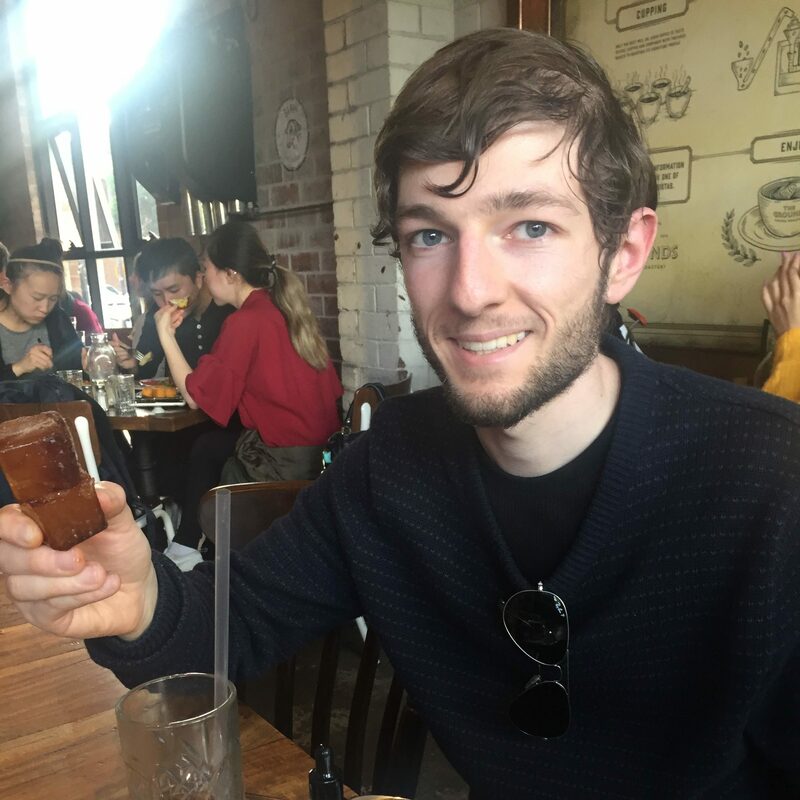 The perfect basal rate would be called having a properly functioning pancreas – love it! Thanks so much for the comment Lisa! I’ve had my fair share of frustrations from adjusting my insulin intake. There’s no easy answer, except to keep experimenting until you find the right balance that works for you. Great to have you here!